Gregory J. 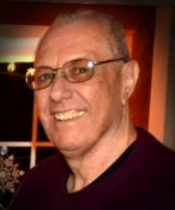 Rose, age 69, of Morrisville, PA, passed away on Friday, August 31, 2018 at Thomas Jefferson University Hospital with his family at his side. Born in Trenton, NJ, he was a lifelong resident of Morrisville. He was a graduate of Morrisville High School and Bucks County Technical School. He then became a printing apprentice, which led to his employment with the Bucks County Courier Times in Pre-Press, where he worked for 44 ½ years until his retirement. Greg was a life member of the Union Fire Company # 1 (now Morrisville Fire Company). He was in many bowling leagues at Delmor Lanes, traveling throughout the state for many tournaments. Greg enjoyed ice skating on the pit on Post Road, was an avid Nascar, Phillies and Eagles fan, and loved hunting and fishing. Son of the late Walter and Dorothy (Werr) Rose, grandfather of the late Mia Rose Montevidoni, and brother-in-law of the late James M. Nay, he is survived by his loving wife of 45 years Joann (McTamney) Rose, his daughter and son-in-law Kelly and Matt Montevidoni, and two grandsons, Vincent and Dominic Montevidoni. He is also survived by his step-mother Helen Rose and her children, Robert (Karen) Williams and Linda Williams, all of New Jersey. He also leaves behind, with fond memories, his sister-in-law Elaine Nay of Morrisville, Brothers-in-law Paul McTamney of Washington Crossing, PA and Charles McTamney of Leesburg, FL, a special nephew Dave Nay of Morrisville, and his favorite Pastor and friend, Monsignor John Eckert. Relatives and friends are invited to attend his funeral service at 11 AM on Thursday, September 6, 2018 at the J. Allen Hooper Funeral Chapel, 41 W. Trenton Ave., Morrisville, PA. The Monsignor John Eckert, Pastor of Holy Trinity Roman Catholic Church, will officiate. His interment will follow in Holy Trinity Cemetery. Friends may call Thursday morning from 9:30 – 11 AM at the funeral chapel. In lieu of flowers, the family requests memorial contributions, in Greg’s name, be made to Holy Trinity Roman Catholic Church, 201 N. Pennsylvania Ave., Morrisville, PA 19067. Additionally, the family requests that you PLEASE sign up to become an organ donor today!